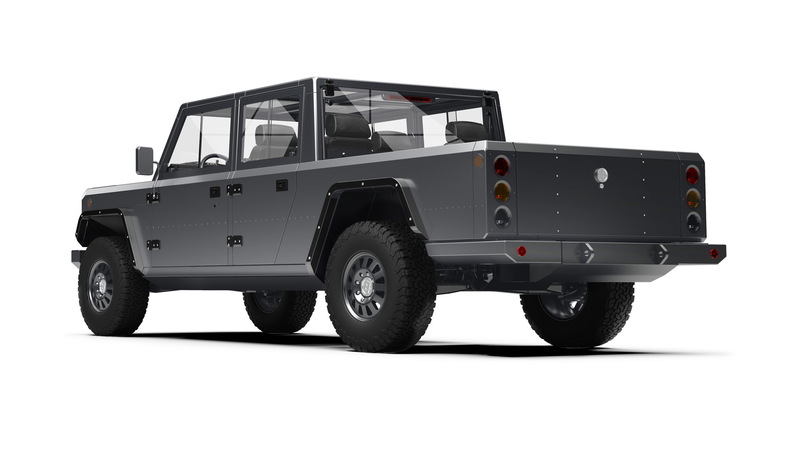 Electric car startup Bollinger on Wednesday gave us our first look at a rugged, all-electric pickup truck currently in the works. 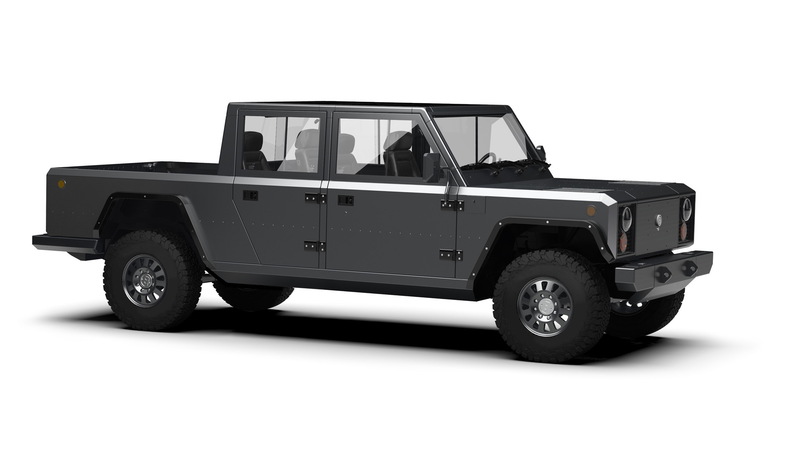 The truck is called the Bollinger B2, and it's a sister vehicle to Bollinger's B1 SUV first shown in 2017. 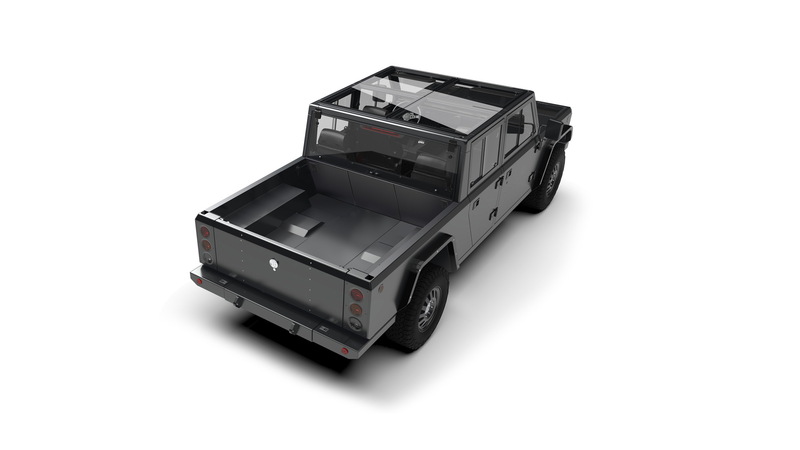 While the B1 can also be configured with a bed, the B2 is a much larger vehicle designed for serious loads. It features a patented pass-through door for transporting long items, and there's also storage space under the hood due to the lack of an engine. Storage was a priority when designing the B2. The bed is more than 4.0 feet wide and almost 6.0 feet long. The rear glass also opens up like the B1, allowing storage to the top of the cab. Bollinger confirmed the B2, like the B1, will be classified a Class 3 truck, meaning a 10,001 gross vehicle weight rating and a hauling capability of 5,000 pounds. 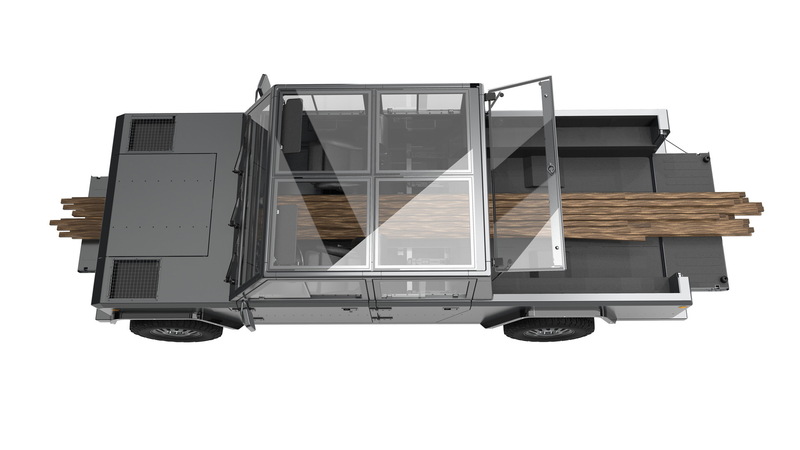 Also like the B1, the B2 features a flat battery pack in the floor and an electric motor at each axle for all-wheel drive. The company is holding back on most specs since development isn't complete but did say a massive 120-kilowatt-hour battery can be fitted. The B2 will also come with Citroën-style hydropneumatic suspension and in-wheel portal gear hubs for a smooth ride, even when off-road. Bollinger is currently accepting orders for both the B1 and B2 and hopes to have production up and running in 2020. The company, which recently moved from New York to Michigan, said it plans to reveal key details on availability and pricing in 2019. 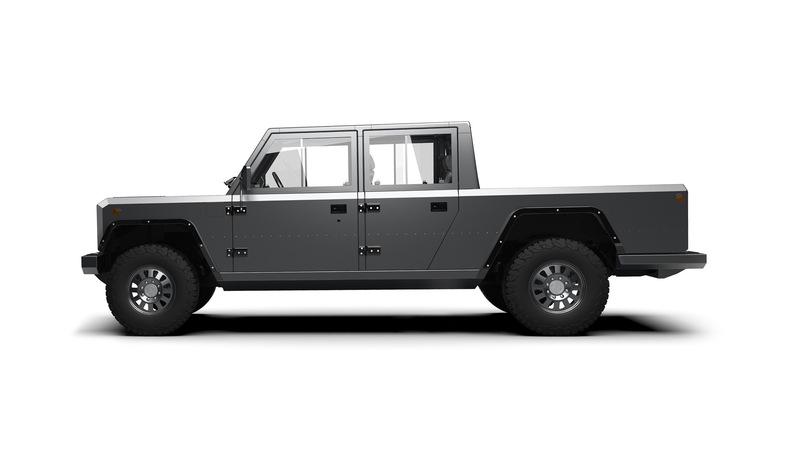 Bollinger isn't alone in the race to deliver an electric pickup truck. Tesla has also confirmed plans for an electric pickup truck, and electric startups Rivian and Workhorse are working on pickups of their own. Probably none of these will have the utilitarian aesthetic of the Bollinger, however. It's almost like a Volkswagen Thing of the modern era.